Editor’s Note: This article is a reprint from the TCS Bulletin in 2000 (Volume 22(2)) in celebration of the 33rd anniversary of Coastweeks. The BULLETIN thanks Ms. Fegan for sharing her memories and her inspiration. As I contemplated the meaning of Coastweeks 2000 this past summer, I found myself thinking often of how one person’s idea coalesced into an event, then a national and international celebration, and now a tradition. Thoughts of those formative days of Coastweeks invariably reminded me of the enthusiastic leadership provided by a single visionary — Barbara Fegan. 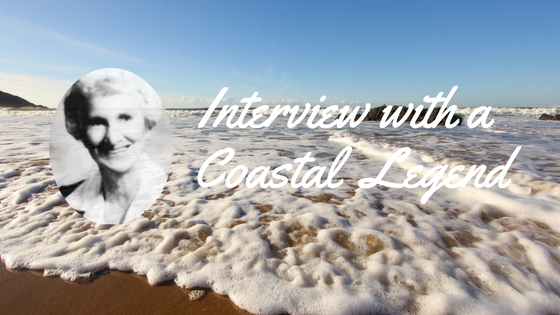 I caught up with her this past September as she was enjoying retirement in Wellfleet, Massachusetts, the Cape Cod community where she perfected her coastal advocacy roots. Although she is approaching her 80th birthday (“not till next year! “) and she “officially” retired by choice from public life in 1994, we can rest assured that Ms. Fegan remains a visionary. To me, she’s also a treasured friend. This interview offers glimpses of how Coastweeks evolved and where we might be headed in the coming decades, all foretold by a true coastal hero. How did the concept of Coastweeks begin? My idea can be traced back to 1980. That year had been designated as Year of the Coast, and there was great enthusiasm for coastal issues, I had great hope that the designation would inspire action, but the energy level wasn’t there yet. The next year brought another round of success when the Coastal Zone Management Act was reauthorized, but there was still no structure for real coastal activism. The Coastal Society’s 1982 conference in Baltimore on “Communicating Coastal Information” rejuvenated my creative juices. 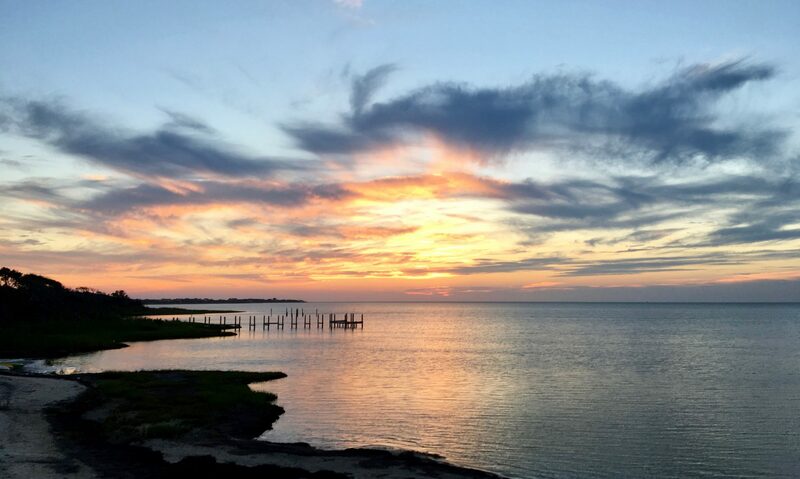 The Year of the Coast was fresh in our minds, the CZMA had been strengthened, and we received great news that President Reagan had just signed a law to protect coastal barriers. I was thinking about how to increase public participation along the lines of Earth Day rather than some corporate model. I wanted to be outside organiza~ tional structures, not constrained by them. With society racing faster and faster to get to the coast, I was convinced we should capture some of that energy in protecting our beaches and shores. The idea of a coastal festival intrigued me. Friends in more than 250 chapters of the League of Women Voters and Shirley Taylor with the Sierra Club in Florida offered the support network needed to launch the idea. I shared my concept as a comment from the floor at TCS8 and hoped the idea would grow. Can you share some memories about that first Coastweek Celebration? I remember the date – October 12, 1982. I was flying home from TCS8 with Rich Delaney, the new director of the Massachusetts coastal zone program. We talked about the Coastweek idea and what to do next. He was planning a fall conference and invited me so Coastweek could be part of the discussion. Rich also got Governor King to proclaim the first Coastweek that fall in Massachusetts. We were off and running! I operated Coastweek simply, with only volunteers. Those of us involved in the early years met all sorts of folks, some outright crooks who thought I was a coastal heiress and wanted some of my millions but many more who shared my hopes for a better coast. Those first few months confirmed that we had an idea that could work! What were your early ideas for Coastweeks? Mostly, I saw a volunteer organization. If we had a paid staff we would have been beholden to some organization. I wanted no dues, no reports, and very little structure. I organized things for the first few years but kept it very simple. I only communicated by mail, and never sent second mailings or reminders. No phone calls either-that would have taken too much time. That approach, coupled with new and old friends in the League of Women Voters, Sierra Club, and The Coastal Society started a national movement. I also wanted to work with other related efforts. Judy Nielsen with the Oregon Department of Fish and Wildlife had attended a marine debris conference in Hawaii and adopted the idea of a citizen-based, coastal beach clean-up to collect information on marine litter. There were other events around the country in late September and early October. That’s when the seven day Coastweek evolved into the longer event spanning two months that came to be known as Coastweeks with an “s”. Do you have any fondest memories from those early years? Certainly! There were plenty of characters, and lots of crazy ideas. But I loved it since every idea generated interest in the coast. I remember ideological people in Toledo who were driven to clean up the Ohio coast, they wanted to reverse the pollution that led to the Cuyahoga River fire and other environmental disasters. There were the ever-hopeful teachers who organized camping excursions for Texas schoolchildren. And there was the University of Colorado Glee Club that hosted a Sea Chanty party. It was landlocked events like that one in Colorado that inspired a tongue-in-cheek campaign to “Save our Kansas Coast.” Everyone was getting involved. After a year or two, Coastweeks was here to stay! It really helped over the years to have some great individuals deeply involved. Linda Maraniss was one gem! She and her colleagues at the Center for Marine Conservation helped with Coastweeks administration, Coastsweep beach clean .. up data collection, and so much more. How has the concept evolved? I’ve seen some major changes, but the basic celebration continues with the same volunteer spirit we envisioned. Annual Coastweeks calendars are still dominated by small events built around education and sharing. However, the overall Coastweeks structure has changed. During the past four years or so, agencies and organizations have tried to capture the spirit. Many volunteer citizens have been replaced by people driven by their professions to exploit or protect the coast. It isn’t the same. It’s a different language, built around the need to produce results rather than simply participate. Coastweeks shouldn’t be measured in jobs and political favors, but it’s happening. I hope the new Coastweeks doesn’t become another government program or corporate marketing campaign. What about the coasts themselves? Do you think Coastweeks has changed society, or that the issues have changed since the early 1980s? There’s definitely a change underway. I see a shift from massive programs to local efforts. People are getting involved at the neighborhood level through local groups. I’m delighted by the trend. Whenever you can get a group of like-minded people, supported by a skeletal organization and deep convictions, you can make progress. But you need people who are fulltime participants, People can’t buy a voice; they need to enroll and engage. That’s a real issue in coastal communities where many taxpayers are seasonal residents with their own agendas. I’m hopeful that self-conceived, self-directed efforts are increasing. Where do you think we’re headed in the next decade or so? Coastal issues are like the tides. Issues come and go, sometimes leaving debris behind that prompts action but usually leaving nothing noticeable. There are also tides in public and political leanings. I don’t know where we’re heading because much of what I see is the same as a few years ago, but years of small changes add up over the decades to make a real difference. Sometimes it takes even longer to recognize those changes. I think that’s happening along our coasts, There are changes in social structures that will affect the mix of people and expectations for coastal management. There are also changes on the science side. The more we know, the more we realize we don’t know. We continue to make errors, only now we live longer and must face our errors personally. Some impacts are translated inland, such as storm-related damages that now affect landlocked counties and peoples. I trust the hidden genius in each of us will sense changes and prepare accordingly. I recognized a wave back in 1982 and jumped on. There are other waves now that are waiting for us. Good people will respond. If we praise their efforts they will remain engaged as citizens, small groups, and local networks. That’s how Coastweeks began and how future ideas will succeed. We just need to keep the energy level focused in the neighborhoods, supported by corporations and large groups rather than replaced by them. These changes are organic. They won’t kill us. They’ll be more successful if we focus on sources rather than fixes. Along the coast, let’s search for the reasons why something doesn’t work rather than heap solutions on a broken system. Nonpoint source pollution is one opportunity awaiting citizen action. Thanks for sharing your philosophy on coastal activism. Do you have any closing comments? Just one comment, one that is embedded in much of what I read and how I have shaped my actions. We need to read more history. We need to learn what has happened in the world and why. Those insights will help us to recognize behaviors, cultures, and differences. It will also help us understand where we are headed. I’m reading R.W. Davies’ enlightening book on European history. Sit down with a history book, a dictionary, and a map so you can understand our world. Then apply your new wisdom to the coast and we’ll be headed in the right direction. Read this interview in its original form in the TCS Bulletin 2000 Volume 2(2).